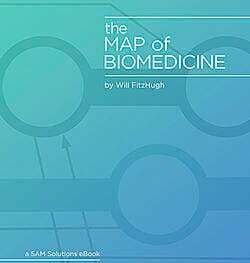 Most primary medical care relies on a solid knowledge base of human anatomy and biochemistry. If you go to your doctor for a routine physical, she may run bloodwork, looking at a standard panel of markers for disease. Likewise, if you go to the emergency room with intense localized pain, the team can use x-rays or other imaging technology, and they will know where to look and what to look for. Clinical genetics, by contrast, is in many ways still in its infancy. A genetic counselor can offer to test prospective parents for a panel of genetic variants known to cause the most common birth defects and diseases, and individuals whose families have a high incidence of breast and ovarian cancer can be tested for BRCA1 and BRCA2 mutations to guide their medical decisions. But most of the human genome is still uncharted territory, and technology to sequence patients is outpacing our ability to understand what we see. A doctor seeing an x-ray will clearly know what to do with a broken bone, but a doctor looking at a whole exome sequence (WES) - the 1% of a person's genome that encodes their proteins - will mostly see mutations with unknown effect, known as variants of unknown significance (VUS). They will see the analog of broken bones - “broken genes” are known as loss-of-function (LoF) variants - but we all walk around with these, usually with no consequences. At the American Society of Human Genetics (ASHG) meeting this year, scientists and clinicians alike shared their latest work on deciphering the meaning and consequences of genetic variation. This rapid change was on display at the session on WES in clinical practice. Whole exome sequencing is increasingly being offered by academic medical centers, and scientists from these centers reported on their work integrating this new data into clinical care. Christine Eng reported on Baylor's sequencing center. Of cases referred to the center, only 25% resulted in a molecular diagnosis from WES; however, from those successes, 30% of the diagnoses were from disease-gene associations only discovered in the past three years. Han Lee reported on UCLA's center, which has a similarly low diagnosis rate, and emphasized how much the diagnosis rate for developmental disorders rises when parents are sequenced along with a child; this is because clinicians can focus on mutations only seen in the child, which are much more likely to be causal. New databases are being developed for application to WES. Bradford Powell from UNC described work of the NCGENES project, which is curating disease-specific gene sets to focus on relevant exome variants; and Lora Bean from Emory showcased EmBase for collecting and coordinating annotations of VUS. Besides their impact in the clinic, these exome sequencing data are empowering basic research into the human genome. Surveys of whole exomes have shown that there are many genes that humans surprisingly tolerate having one or both copies of totally disabled by a mutation (an LoF variant.) An entire session was devoted to these human "knockouts", who are a boon to investigators and clinicians alike. Scientists who have devoted their careers to studying certain genes by knocking them out in mice will soon be able to find people who naturally harbor LoF mutations in those genes. Clinical geneticists diagnosing severe developmental diseases using WES can use the huge exome database ExAC, unveiled at ASHG by Daniel MacArthur from Mass General Hospital, to infer how damaging VUS are. Soon, the cost of whole-genome sequencing will make much of the 99% of the genome available to clinicians. Although we know from evolutionary studies that much of the noncoding genome consists of viral "fossils", pseudogenes, repetitive regions, and other nonfunctional sequence, we also know that there are many important regulatory regions that serve as switches that turn genes on and off. I had the honor of chairing a session dedicated to noncoding variation, where I presented research into the recent evolutionary history of regulatory sequences in the human genome. Paz Polak from Mass General Hospital showed that new mutations happen in different parts of the genome depending on characteristic ways DNA is packed in each cell, offering hope for a new way to tracking down the origin of cancer cells by high-throughput sequencing. Jeff Vierstra from the University of Washington showed how regulatory regions changed their position between human and mouse while maintaining their function, and Graham McVicker from Dana-Farber showed how natural mutations in regulatory sequences correlate with important chemical changes around genes, offering us clues to the grammar of these switches and how evolution tinkers with them. ASHG reminded me why I love working in genomics and bioinformatics - we know so little, and big data are leading to breakthroughs every day.